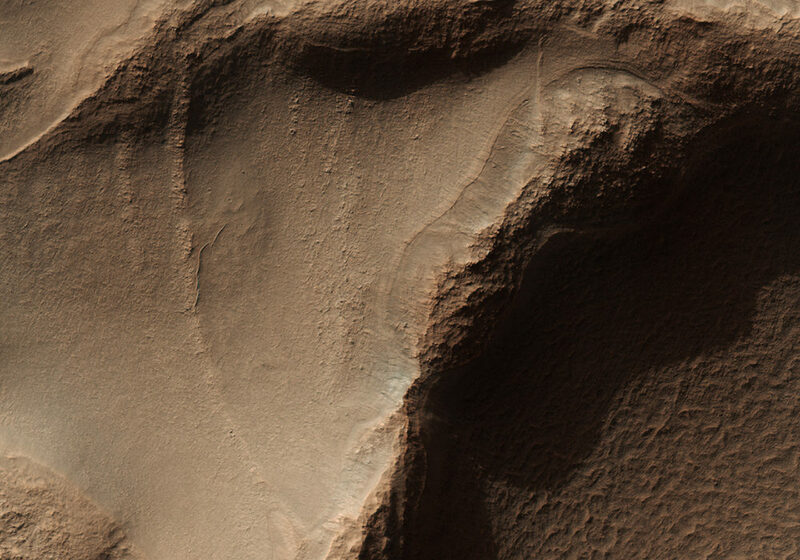 This image targets a portion of a group of honeycomb-textured landforms in northwestern Hellas Planitia, which is part of one of the largest and most ancient impact basins on Mars. In a larger Context Camera image , the individual “cells” are about 5 to 10 kilometers wide. 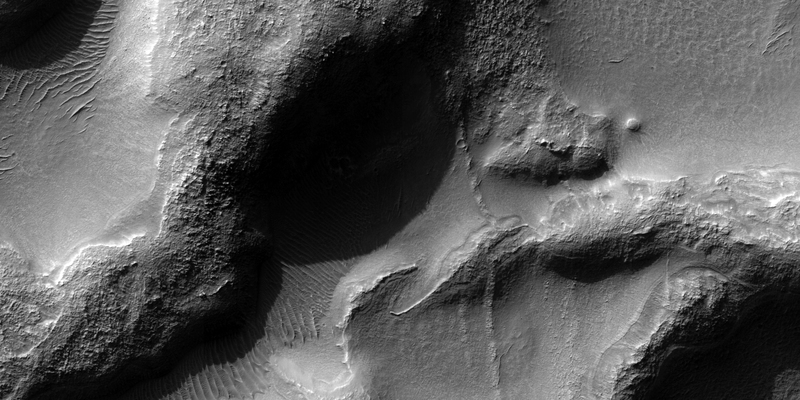 With HiRISE, we see much greater detail of these cells, like sand ripples that indicate wind erosion has played some role here. We also see distinctive exposures of bedrock that cut across the floor and wall of the cells. These resemble dykes, which are usually formed by volcanic activity. 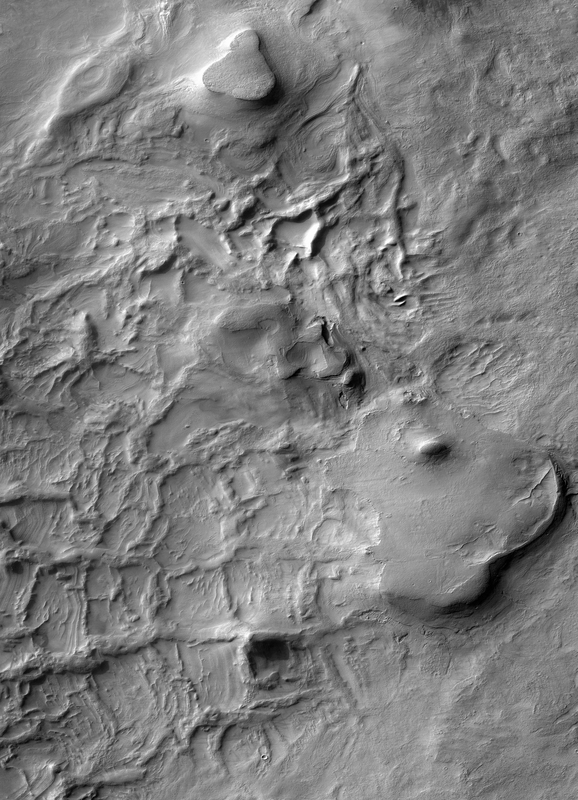 Additionally, the lack of impact craters suggests that the landscape, along with these features, have been recently reshaped by a process, or number of processes that may even be active today. Scientists have been debating how these honeycombed features are created, theorizing from glacial events, lake formation, volcanic activity, and tectonic activity, to wind erosion.